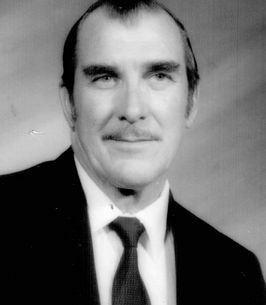 STEUBEN – Stanton D. Beane, 83, passed away peacefully November 8, 2018, surrounded by family and loved ones. He was born May 18, 1935, in Bangor, the son of Dudley F. and Blanche E. (Doughty) Beane. Stan entered the U.S. Navy in 1968, serving as a torpedo man, for 20 years. He was honorably discharged as an Atomic Veteran. Stan lived a great life, leaving behind so many memories in parts of the world many would have a hard time pronouncing. He was a longtime member of the Ellsworth Moose Lodge #2698, Ellsworth Elks Lodge #2743, American Legion Post #9 of Machias, and a proud member of the Ellsworth VFW Post 109, and many other VFW Posts around the world. In addition to his parents, Stan was predeceased by his wife, Patricia Beane. He is survived by a daughter, Lisa M. Gibson; a step-son, Johnny L. Beane; grandchildren, Corey Beane, Michael Benjamin, Kelly Benjamin; and a brother, Maurice Beane and wife, Patsy. We encourage you to share any memorable photos or stories about Stanton. All tributes placed on and purchased through this memorial website will remain on in perpetuity for future generations. I am very sorry for your loss. May the memories you shared with Stanton bring you comfort along with the comfort God provides to those who search for him in prayer. John 5:28,29 also provides comfort through a hope to see our loved ones again.